Amy is a licensed realtor with over 18 years experience buying and selling in Connecticut. She can help you sell your home for top dollar with staging and recommendations for small repairs/improvements to help your house look its best. Buyers make a connection with a house within the first 10 seconds - we need that first impression to be the best it can be! Amy has the skills, experience and staging resources to show your house off in its best light. Be it your furnishings or hers, preparation, staging and professional photography will have your home standing out to savvy potential buyers. If you are looking for your dream home, she can help you find the diamond in the rough (usually the ones other people pass on and deem "too much work") and can help you determine what to budget for renovations to help in negotiating with the seller and planning your budget - both in terms of time and cost. ​Amy has an accounting degree and strong organizational skills to keep your transaction or project on time and on budget. She and her family moved 8 times in 12 years and knows a thing or two about how to make a house a home for your family. She can blend fiscal accountability with warm, comfortable stylish design. 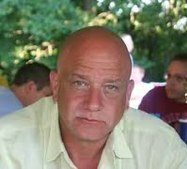 Paul is a licensed home improvement contractor with over 30 years experience in residential and commercial real estate. He has experience running several businesses and has a strong work ethic which doesn't quit. ​He will manage your project with an extreme attention to detail as if it were his own home. Paul oversees every stage of the process to make sure it meets our Sound Homes standard, His craftsmanship and dedication always scores high marks with our clients. He is the backbone of Sound Homes. 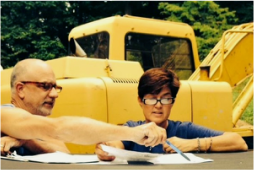 He and Amy work together on every aspect of your renovation project, from design elements that make each home unique, to budget and scheduling. Joanne is a licensed mortgage professional par excellence - she will find you the best loan product for your needs and manage every step of the process until you hear the magic words "Clear to Close". Customer Thank you Note: I must say that Bryan and I hit the jackpot when we found you and your team last year. None of this would be possible without all of your selfless and tireless work, and we're so appreciative of how quickly you turned around the mortgage paperwork in spite of all the obstacles you encountered along the way. Thank you doesn't seem to adequately convey how grateful Bryan and I are to you Paul and Amy - but Thank You!! We couldn't have asked for a better, nicer team of people to work with! Dan is a licensed realtor and helps Sound Homes with marketing and sales. He has 30 years of construction experience and project management experience and is the perfect addition to to our Sound Homes team. He is taking real estate by storm with his customer service focus! What we do is definitely a team effort and we are lucky enough to have the best sub contractors in the business who really make us look good. All are fully licensed, insured and have worked with us in the past to deliver excellent results - from carpenters, plumbers, electricians, hardwood flooring, carpet, painters to masons - we have them all to help you!